Right in the center of Asia’s East Lands sits a hidden treasure seeking to be unraveled by travelers traversing lands far and wide just in the search of this great bounty. Enter the mythical realm of lucky symbols as well as clean golden coins that beckons that brave enough to seek them out. If you think that you have got what it takes to bring this treasure, buckle up and dive right into it. Plentiful Treasure is a thrilling 5 reels and 3 rows slot game that brings with it 243 paylines that will sweep you off your feet and deliver right in the hands of the exotic and exquisite treasure. There are breathtaking rewards of course, with the Bao, the most powerful symbol, as well as the might Pearls that are fashioned to give you gaming experience like no other. These two symbols, Bao and Pearls, will become your main tour companions as you embark on a search for the grand reward, one that if you are determined enough, shall grant you four jackpot wins. The goodness with masterpiece of a slot is that it offers both novices and experts same experience, thanks to its seamless interface and straightforward gameplay. However, the simplicity of the gameplay should not be mistaken for a shadowy gaming experience. If anything, you are set for an entertaining trek like no other. The Pearl and Bao are the main symbols that can be substituted for the other minor symbols, while the Tripod takes the place of the main Scatter. When the scatter appears, it activates a total of 8 free games which also brings with them a chance for retriggers. When the Bao appears on reels 2, 3 and 4, it launches the Golden Coin Feature which in return gives you an opportunity to win either the Major, Grand or one of the two Minor Jackpots. 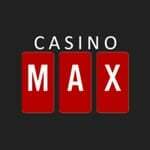 The slot gives players massive opportunity to win big and highly coveted prices with every single spin. The Autoplay feature can be activated such that you do not have to click manually, and then can be turned off during gameplay. You have the option of adjusting the size of your coin size so that you customize the size of the bet according to your bankroll. 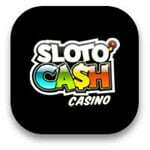 The slot caters for all pocket sizes; whether you are the sort that prefers spending just a little bit more on each spin or you are the penny slot enthusiast. As such, you just need to make a bet that is convenient and then sit back as you watch the reels spin. The Autoplay feature is here to ensure that you continue playing even when you get tired of manually spinning the reels. All you have to do is to place your bet and then start spinning as you let the Bao and Pearls join efforts with the Tripod scatters to give you mouthwatering combos as well as jackpots. Plentiful Treasure is indeed a real gem that is just waiting to be sought out. The bonuses and perks that come with it are just too good to be ignore. Start out your gambling journey and trace your path to success.